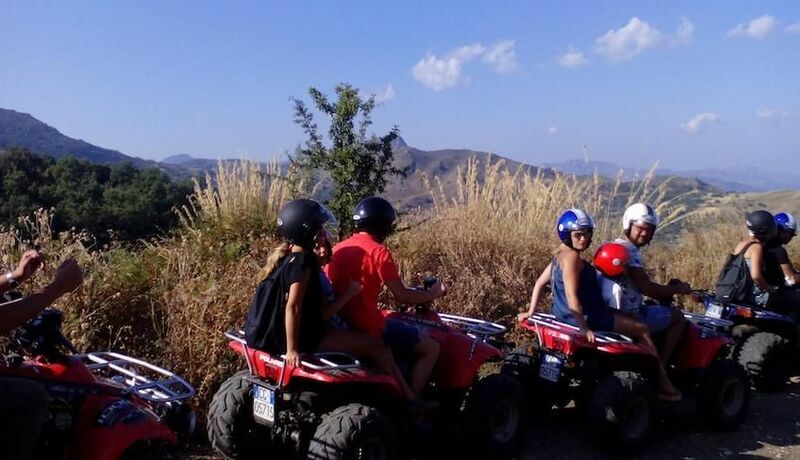 A thrilling tour in quad bike, during which you will see some of the most beautiful panoramic view points of Taormina, Isola Bella, Montevenere, Etna and Castelmola. 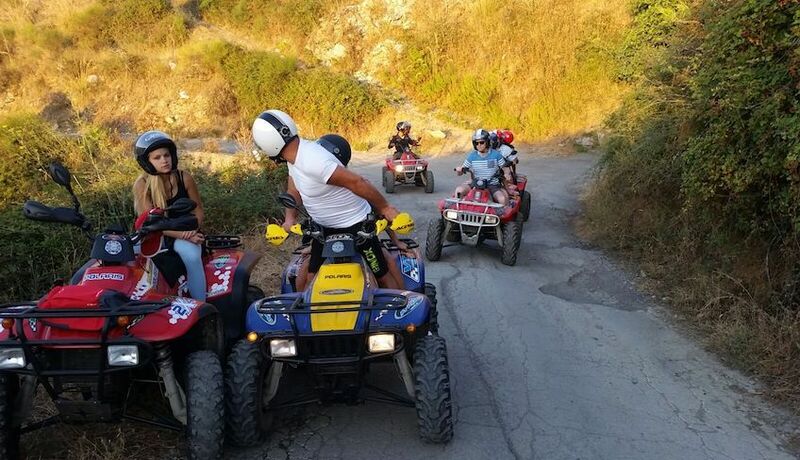 After a short briefing which will cover the route and how to use the quad bike, you will be heading off to the charming Sanctuary of the Madonna of the Rock, on a tarmacked road, to let you get to grips with the quad. 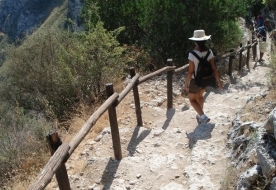 You will continue to Mount Lapa, passing the picturesque 'Casa Samperi' and 'Faccia dell’Indiano' en route. 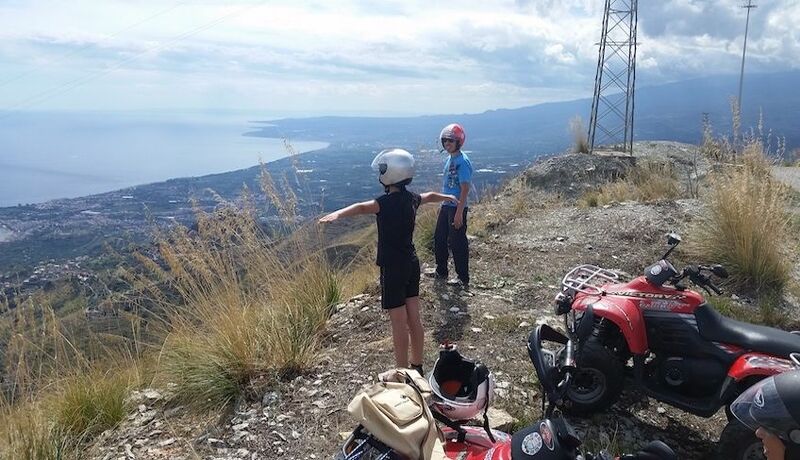 You will climb on off-road tracks which wind up in the hinterland of Taormina and, immersed in nature, you will follow a scenic road until reaching the Saracen Cross, 'Croce dei Saraceni'. You will then continue to Mount Venere, reaching almost 900 metres altitude, and once you've reached a mountain spring of fresh water, you will have arrived and it's time to taste some traditional Sicilian specialities, including the delicious ricotta 'cassatelle'. 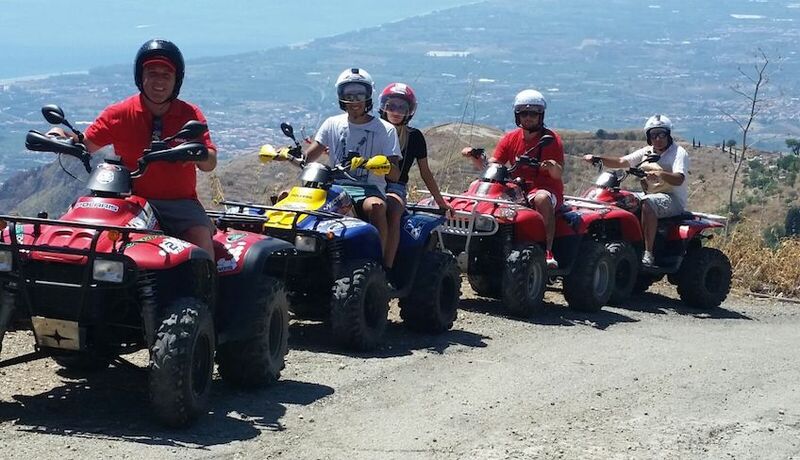 After the break, you will head off again on the quad bikes to immerse yourselves in some untouched nature. 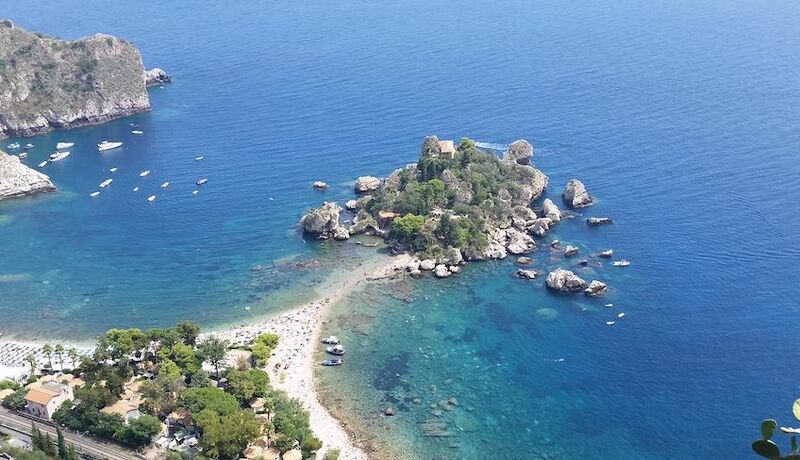 You will visit the tomb of the noble Lady Trevelyan, and then at the altitude of a natural cave, you will have the chance to admire a stunning panoramic view, looking down on Taormina from on high. 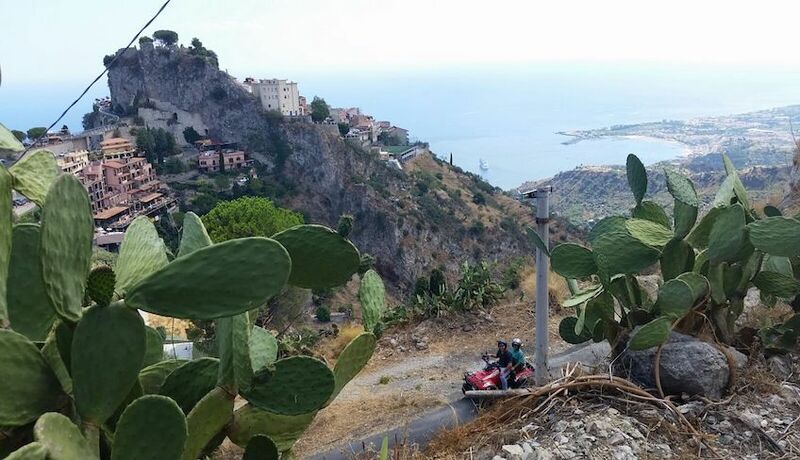 From here you will be able to see the Calabrian Coast and Mount Etna, the Antique Theatre of Taormina, the Madonna of the Rock, a Saracen Castle and Castelmola. Woods rich with vegetation, unexplored tracks and breathtaking views will be the backdrop to this unforgettable adventure. After a brief stop to take some photos at the Ex Cafè Monte Venere, an aristocratic symbol of the 'Belle Epoque,' which passing travellers would visit during their time in Taormina's countryside, it's time to head off again, this time towards the wonderful village of Castelmola. 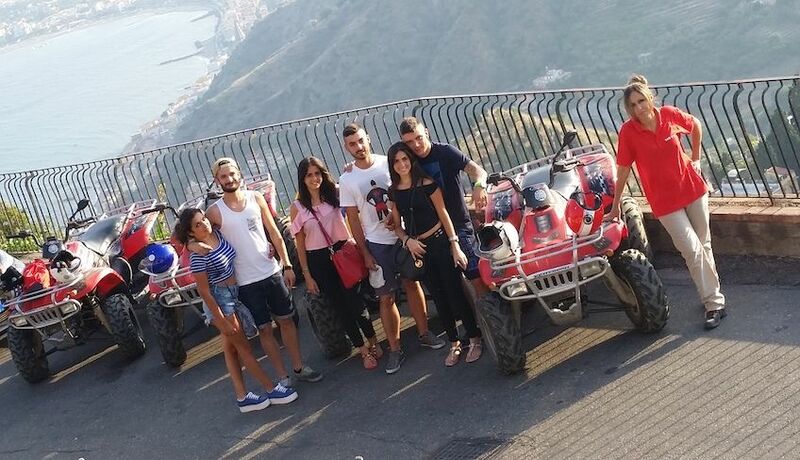 You will then head downhill towards Taormina, where you will have an interesting walking tour of the city, passing the Catania Gate, the San Domenico Palace Hotel (an antique Dominican monastery) and the main street via Roma. You will then pass the Public Gardens, the Catacombs, and then Piazza Belvedere, which offers a spectacular view of Isola Bella. 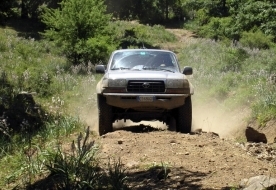 The experience consists of 60% on off-road tracks, most of which have stunning views. 1h 30 min tour. Choosing the 1,5 hour tour, the itinerary will be reduced. In order to drive the quad you must have an A or B Driving License. Each quad can take 2 people: driver and passenger. Quad model: Polaris Trail Boss. Point of departure: Taormina centre. Trainers or walking boots, long trousers, warmer clothing for the evening. 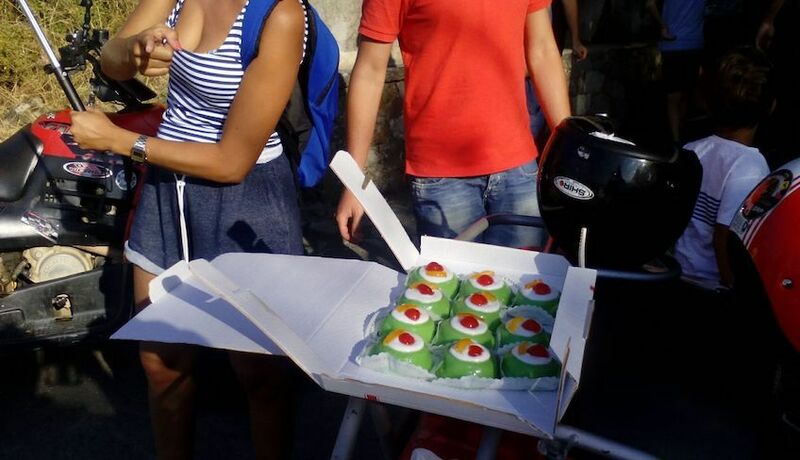 The meeting point is at the entrance of Porta Messina, Corso Umberto, Taormina (ME). To make a reservation a prepayment of 20% of the total is required. The outstanding balance must be paid in cash on the day. Documentation required: A or B driving license from 16 years. Children from 8 years old can ride the quad as passengers.